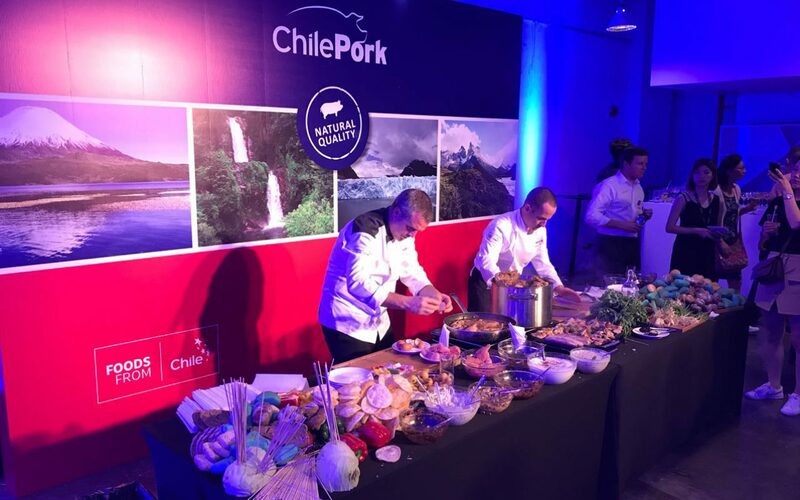 May 16th was the date of the event organized by ChilePork, the brand that represents Chilean pork exporters. 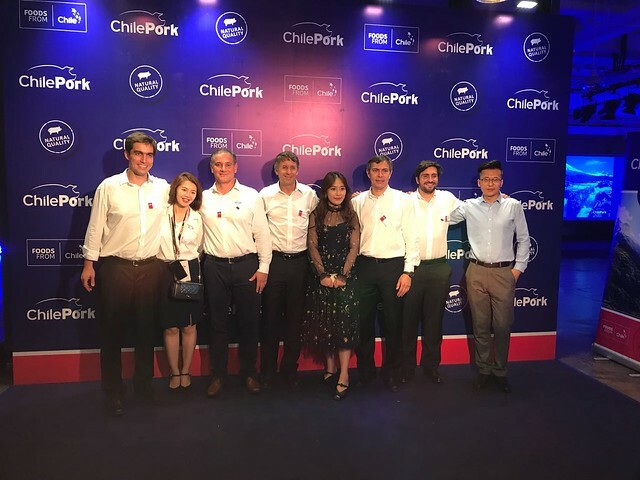 ChilePork’s goal is to position Chilean pork in the Chinese market, highlighting the qualities of this appetizing protein as well as the progress made and general situation of Chile’s pork industry. For ChilePork, China is one of the export markets with high expectations of growth, so each year it aims to surprise importers and the local media. For 2018, ChilePork chose the theme of “Natural Quality” for the series of activities it organized for government officials, importers and members of the trade press. The objective was to showcase the attributes of Chile: its modern system of food safety and health and its status as a phyto- and zoosanitary island, all of which results in a healthy and delicious product. This was the last stop on ChilePork’s promotional tour of Asia and was an enjoyable networking event which brought together government officials, importers, and journalists in Shanghai. Chef Rodrigo Barañao, known as the Chilean ambassador of pork, participated in the event. He demonstrated the variety and versatility of the cuts of pork through delicious Chilean dishes with an Asian twist, such as pork turnovers made with hind feet and front feet, in rice pastry, pork loin skewers with vegetables and different sauces. The goal was to bring the two cultures together through cooking.